The winners of the inaugural International Health Promotion Awards (www.aihpa.org) were announced last week, honoring six programs that showed innovation and success in improving health in community and workplace settings around the world. The awards, established by two leaders in health promotion, URAC and the Global Knowledge Exchange Network on Health (GKEN), were presented during a symposium held in Rome, Italy December 6-7 of which i-genius were a partner, attendee and participant. Centene Corporation, United States – Start Smart for Your Baby. This comprehensive, perinatal program is designed to produce healthier pregnancies and first years of life for members in Centene’s managed care Medicaid plans. It targets pregnant members and their physicians, with the goals of improving prenatal care, reducing premature and low birth weight deliveries and decreasing health care expenditures for sick infants through intensive interventions that have a high impact in a short period of time. Burgland Charity, Namibia – Naankuse Lifeline Clinic. This 100% voluntarily funded clinic exists to help marginalized local people by providing accessible, affordable primary health care to those living in the remote area of Epukiro in eastern Namibia. The tribes’ people live in extreme poverty and have little or no access to simple primary health care in this region. The health needs of the people in this area vary from mild coughs and colds to much more serious diseases or conditions such as HIV and tuberculosis. Basic Health International, United States – Cervical Cancer Prevention in El Salvador. Basic Health International has been working with the Salvadoran Ministry of Health since 2005 to improve national cervical cancer screening programs through advocacy, research, direct patient care and medical training. A major component of the program includes training rural health care providers in visual inspection with acetic acid screening and cryotherapy treatment. These are simple, low-cost modalities that are suitable even when electricity and running water are unavailable. “Community-based programs on every continent are meeting the vital needs of access and treatment for the underserved,” said Jon Comola, CEO of GKEN. 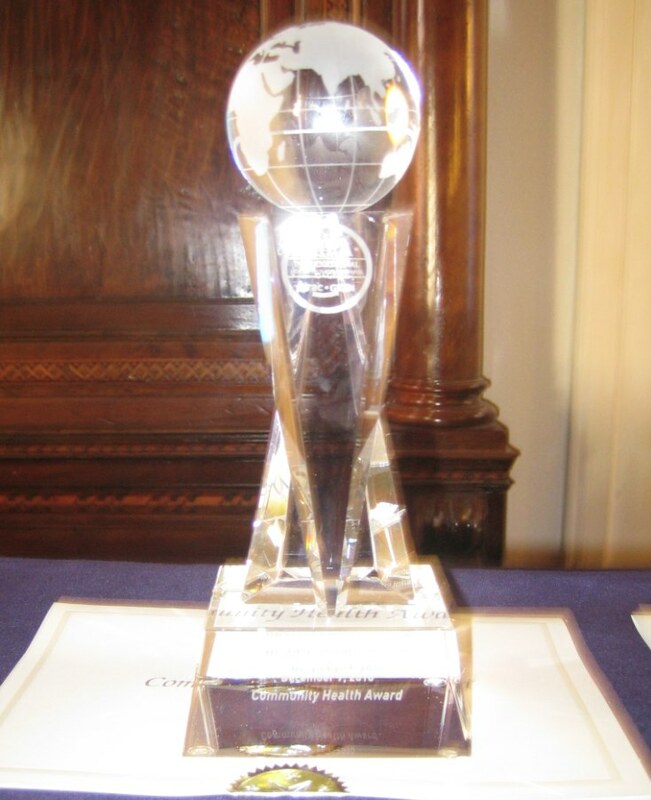 International Workplace Health Awards honor health promotion programs that optimize and maintain overall health and mitigate disease risk in the workplace. The winners were: IBM Integrated Health Services, United States – Global Health Promotion Framework. Intel Corporation, United States – Health for Life, and MOL Group, Hungary – STEP: Take a Step for Your Health. Congratulations to all of the award winners. For more information on the IHPA symposium, go to www.aihpa.org.